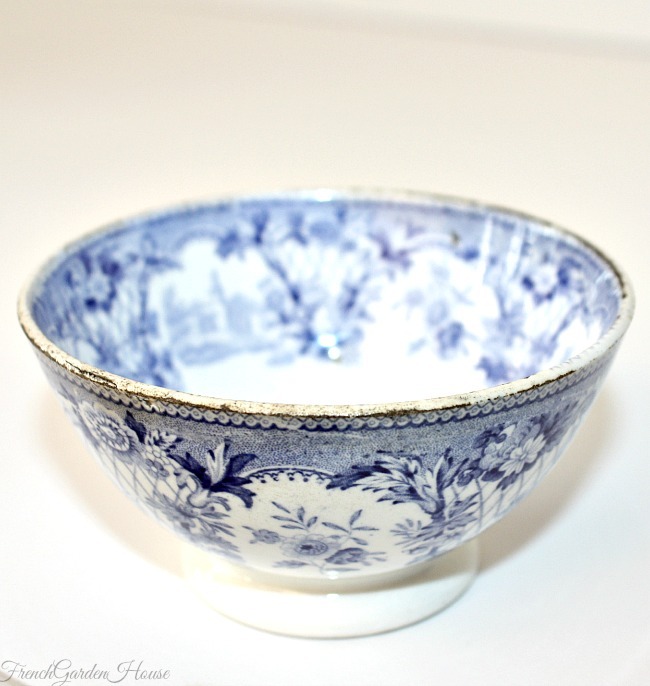 Highly collectible Blue and White Staffordshire Transferware Tea Cup or Bowl. Beautiful decorative piece, the outside features floral gardens with exotic plants and little vignettes of a church. 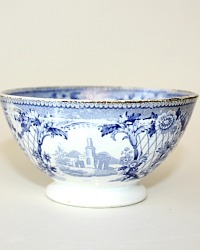 The center of the bowl features a pastoral scene with people taking a stroll near water, either a lake or river, and a castles or monument in the background. This is the classic scenic pattern produced during the early 1800's. 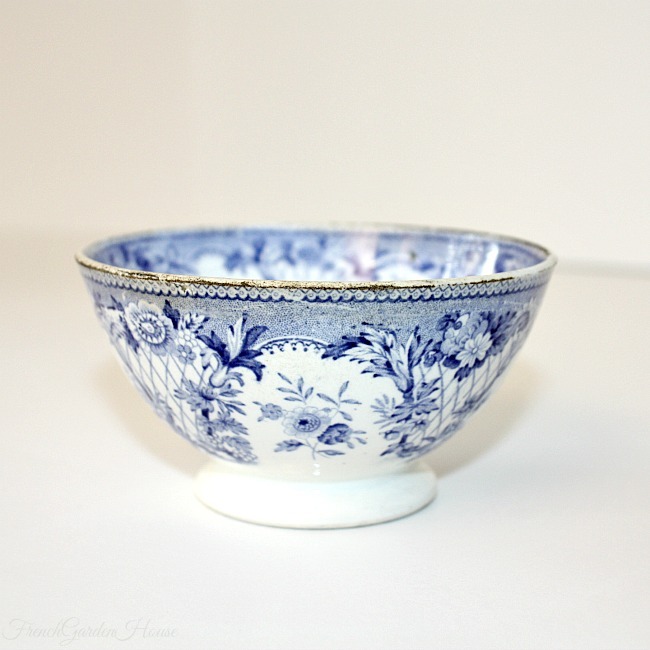 This heirloom piece has the usual production "misses" and glazing effects one expects to see of the early transfer pieces. 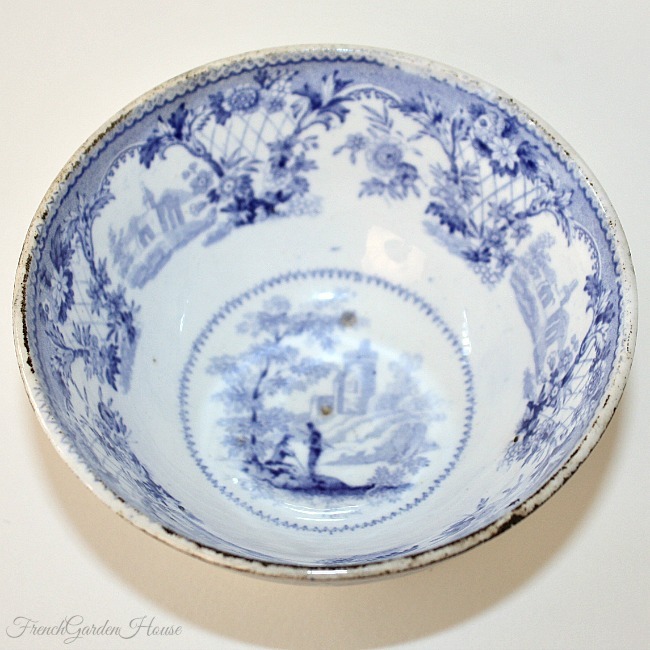 A sweet addition to your collection of 1800's transferware.